They were on time, and they fixed the problem. They were fast, in and out quickly, and they did it right. They know what they're doing, they're very nice, and you feel like you're getting good service from them. I like that you can call them in an urgent situation, even on a major holiday, and they come out right away to fix the problem. I would say that they do a very good job and they are thorough in their work. I like that they do a good job, they are thorough, and they stick to their written estimate. We have been using them for many years. 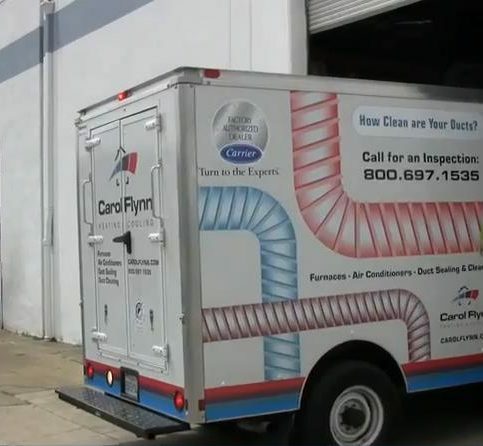 Carol Flynn, Inc. installs, maintains, repairs, and cleans all makes and models of furnaces, air conditioners, air ducts, and general heating and cooling equipment for residential and commercial clients throughout the Bay Area. 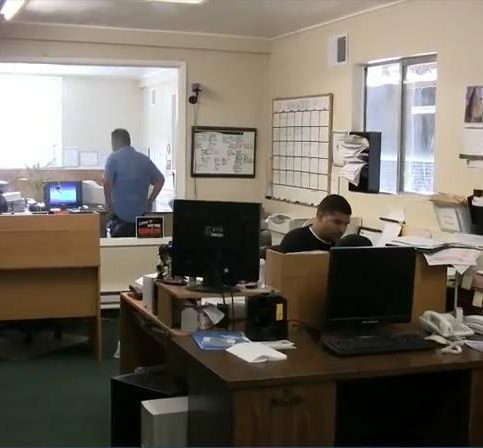 According to President Juan Sandoval, the company’s high-quality heating and cooling products, coupled with superior service and low pricing, have made it one of the area’s leading HVAC (heating, ventilating and air conditioning) businesses. Mr. Sandoval says Carol Flynn, Inc. has installed and repaired tens of thousands of furnaces, air conditioners, and HVAC equipment since opening for business more than 55 years ago. All its work is performed by North American Technician Excellence (NATE) certified technicians, who undergo continuous training to stay current on the industry’s technological advancements. Carol Flynn, Inc. provides potential customers with a “Before You Buy” Information Guide, which contains heating and cooling facts and options designed to improve air comfort and save money. The company also offers free HVAC consultations, estimates, safety and energy efficiency inspections, and professional advice and recommendations. 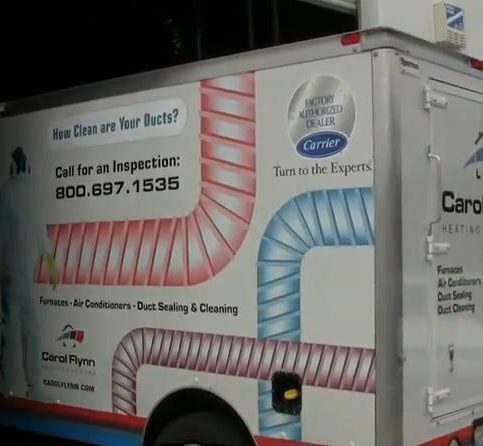 DIAMOND CERTIFIED RESEARCHED CAPABILITIES ON Carol Flynn, Inc.
Company Name: Carol Flynn, Inc.
DIAMOND CERTIFIED RESEARCHED ARTICLES ON Carol Flynn, Inc.
Carol Flynn, Inc. prides itself on using top-quality duct cleaning equipment. 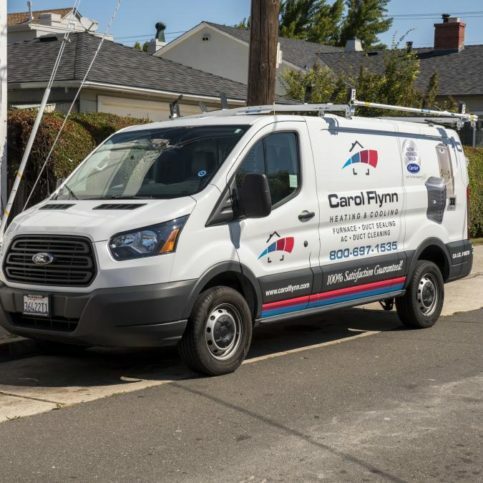 Carol Flynn has been installing, maintaining, repairing, and cleaning all types of HVAC equipment for residential and commercial clients throughout the Bay Area since 1954. 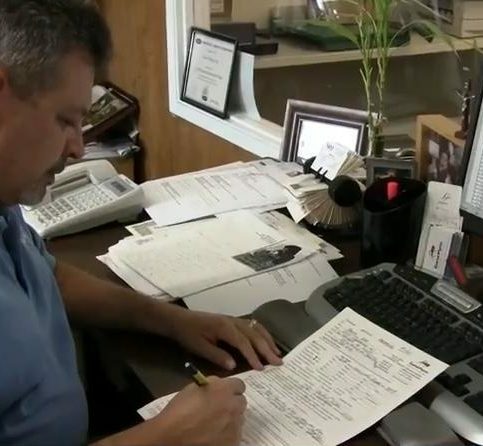 The company also offers free HVAC consultations, estimates, and safety and energy efficiency inspections, and it provides every potential customer with a “Before You Buy” information guide that contains heating and cooling options designed to improve indoor air comfort and save money. If you’re a homeowner, don’t underestimate the importance of clean, properly functioning air ducts. Furnace ductwork is a crucial yet often overlooked component of a home’s operation. When ducts are clean and in good working order, they promote efficient HVAC system operation, uniform distribution of warm or cool air throughout the home and optimal indoor air quality. In contrast, ducts that are dirty and leaky can have a diminishing effect on comfort, energy efficiency and air quality. 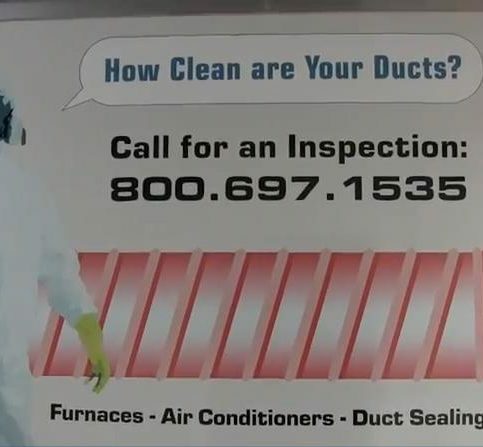 To avoid these and other duct-related issues, it’s important to maintain your home’s ductwork with regular professional inspections and services. Having your air ducts cleaned on a regular basis is a crucial aspect of home maintenance. Over time, dirt, pollen, mold, animal dander and other pollutants begin to accumulate on the insides of ductwork walls, which means every time you run your furnace or air conditioner, these pollutants can become airborne and get distributed throughout your home. While this is detrimental in any case, it can be an even more serious issue for those who suffer from allergies or asthma. Over time, furnace ductwork can start to deteriorate, whether due to age or more active sources such as rodents. Since leaky ductwork can be a drain on energy efficiency, it’s important to have yours inspected periodically and, if needed, repaired or replaced. The first step is a thorough inspection. Using negative pressure suction, an HVAC technician will be able to test for any gaps or apertures in the ductwork. If any are detected, the technician will suggest the best solution to remedy the problem. While in some cases this may entail simple repairs, in instances where the condition of ductwork is particularly poor, replacement may be necessary. A: Yes. We’ll come to your property and inspect your ductwork and furnace at no cost. That way, there are no surprises for either party and we can give you an accurate estimate for the work that needs to be performed. Q: How reliable is the HVAC equipment you offer? A: Very reliable. 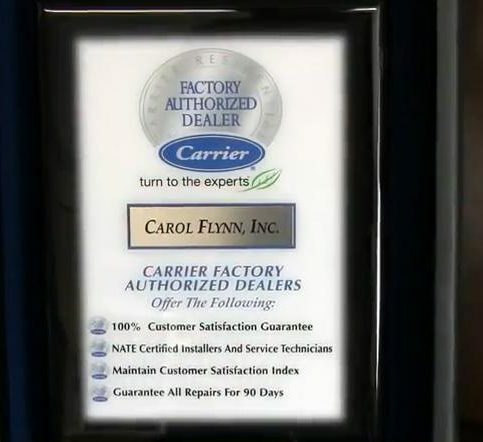 Our product supplier, Carrier, has been in business for more than 100 years—they’re leaders in the industry in terms of quality and reliability, and they stand behind their products. Q: Will you keep my house clean during the job? A: Yes, we take every measure to protect our customers’ flooring, including putting down tarps and wearing booties. We’ll further minimize our impact on your home environment by sealing all fans so no dust or dirt escapes while we perform various procedures. Q: Will you complete the work in a timely manner? A: Absolutely. We take pride in completing every job on time and in a professional manner. When the work is done, we’ll review everything with you and answer any questions you have. Q: What’s your approach to quality control? A: We always double check the work of our service technicians, and we also have survey forms that customers can fill out to let us know how our technicians are doing in the field. SELECTED PHOTOS FROM Carol Flynn, Inc.
Customers can call Carol FlynnÛªs toll-free number to set their appointments. 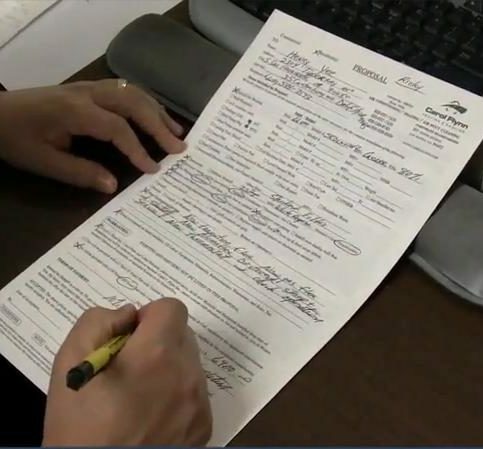 Carol Flynn, Inc. schedules each inspection at the customerÛªs convenience. Carol FlynnÛªs office staff takes pride in helping customers. 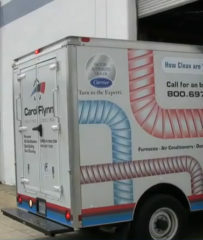 Carol Flynn, Inc. can help customers reduce their heating and air conditioning bills. Carol Flynn, Inc. provides detailed estimates. 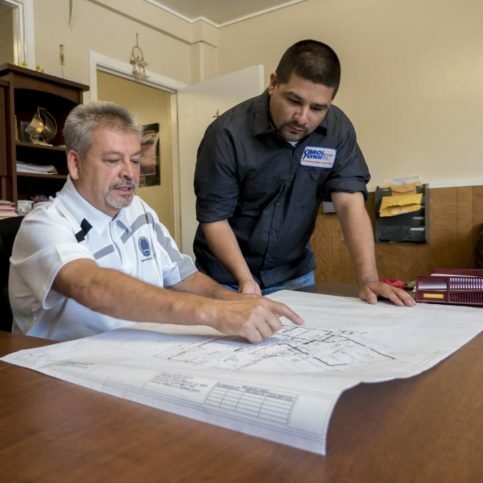 Owner Juan Sandoval takes pride in providing high-quality work and customer satisfaction. Juan Sandoval is a veteran of the HVAC industry and president of Carol Flynn, Inc., a Diamond Certified company since 2005. He can be reached at (650) 530-0965 or by email. 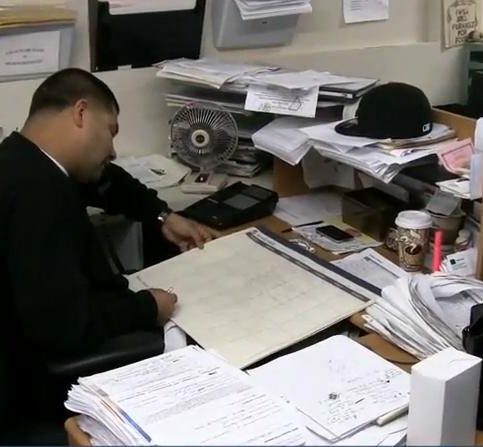 SAN MATEO — While he’s found success as the owner of a Bay Area HVAC company, Juan Sandoval may never have reached his true potential if it wasn’t for an insistent employer who pushed him beyond his comfort zone. “I started in this industry back in 1987,” he says. “I had applied for a job as an air duct cleaning technician with a local service company, but the owner wanted to put me in sales. I didn’t feel that I was salesman material, but he insisted, so I decided to give it a shot. As it turned out, I actually did very well at it.” A couple of years later, Juan went to work for another company called Carol Flynn, Inc., where he gradually worked his way up the ladder until he reached the uppermost rung. Q: What’s your favorite sports team? A: The San Francisco 49ers. Q: What’s your favorite holiday? A: Christmas—I like the lights, cheerful atmosphere and family time. A: Mr. Teriyaki in Burlingame. Q: What’s your favorite TV show? SAN MATEO — When people talk about the importance of changing furnace filters, the conversation usually revolves around air quality. Obviously this is a concern, as 85 percent of the air you breathe inside your home is first circulated through your HVAC system, but there’s another, less prominent reason to change your air filter on a regular basis. When an air filter gets inundated with dirt and dust, it restricts airflow to and from your HVAC system, which, if left unresolved, can result in a complete system shutdown. Additionally, a dirty filter requires your HVAC unit to expend more energy, which will increase your power bill and decrease the lifespan of your system. Considering the substantial cost of system repair and replacement, in conjunction with the aforementioned health consequences, it’s easy to see why regularly changing your furnace filter is a worthwhile investment. SAN MATEO — Host, Sarah Rutan: In order to maximize both furnace performance and indoor air quality, it’s important to change your air filter on a regular basis. Today we’re in San Mateo with Diamond Certified Expert Contributor Juan Sandoval of Carol Flynn, Inc. to learn more. Diamond Certified Expert Contributor, Juan Sandoval: One of the best tips that I can give our customers is to change their filters on a regular basis simply because when filters get this dirty right here, it actually causes the system to shut down when it doesn’t get the proper airflow. And, it also causes the unit to use more energy and also break down. That’s why it’s very important to change these filters on a regular basis. Eighty-five percent of the air you breath circulates through the heating system and cooling system. When filters are clogged, the coils can ice up and shut down the system. And, that’s one of the reasons why we recommend them on a regular service call is to change the filters because if you don’t it causes your system to shut down. This is what your filter is supposed to look like when it’s nice and clean, and the airflow flows properly. When it gets this bad, it means that the filter hasn’t been changed in a while, and it also, like I said, causes it to use more energy and also possible break downs for you. Diamond Certified RATINGS ON Carol Flynn, Inc.
Carol Flynn, Inc. : Average 8.9 out of 10 based on 449 unique customer surveys of customer satisfaction. They are very courteous on the telephone, they were reasonably priced, and they were reliable. I liked that they did what I asked and what I expected of them and that there were no additional charges. I figured I would give them a try and I am glad that I did. They were extremely professional, knowledgeable, and very affordable. The price was right, and they explained a lot of what would be done within the cost. I liked the man who came out. He was very knowledgeable and explained in detail what would be done and why it cost what it did. They were thorough and informative. I think they do good repairs. They offer great suggestions, and they are friendly. Nothing specific, they are just trust worthy and provide good work. They were very professional, had an exceptional amount of knowledge within the scope of work we needed done, and provided us detailed information on the work that was being done. We are extremely satisfied with them. We use their service with ongoing maintenance as well, which has been just great. I think it would be the fact that they are very concerned about the quality of work that they do, they took their time to ensure things were done exactly up to code. They provided us with information on the inspection and gave us the option for ongoing maintenance. They were good. Give them a call. They were here when they said they would be and did what they said they would do. I would say that they are very professional and do good work. I would recommend them. They were quick to respond. They run a good operation, and they are very professional. The guy who came out was very friendly and knew what needed to be repaired. They were on top of the work right away. They were good. We didn't have any problems with their service. The guy who came out was really respectful while in our home and even asked if he was allowed to go into certain areas, just really respectful. They got everything done quickly and efficiently, on top of being very professional and respectful. They were able to get the repair done and replace the thermostat. They did a good job, very helpful. They got the work done. It was quick. 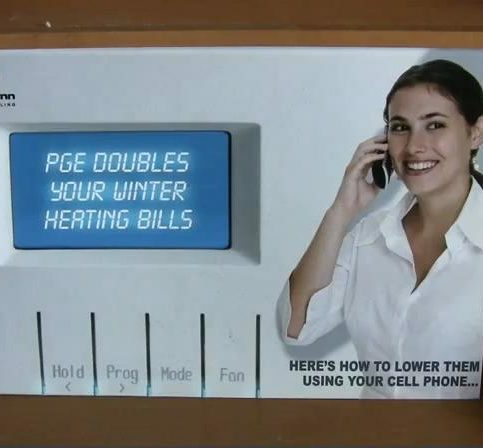 We like our new thermostat. I thought the guys were knowledgeable. They were able to make some suggestions for future preventive items, and they didn't overcharge. They do really good work. They have been in business for as long as we have owned our home. I have recommended them to multiple neighbors and friends. They are really knowledgeable and come highly recommended by me. They are all around 10's across the board. If there is anything wrong with the work that is done, they take ownership and fix it, really good people who work and run the business. They are an old established company and are very good. My parents, myself, and others in the area have used them in the past. They are very reputable. They are fine. I would say to go for it. They do good work. I thought the overall work was great. Go now and call them. They are really good. They are really good people, very down to earth. I thought they did a good job. There were some issues, but all in all, everything worked out. They were able to get everything ironed out. I thought they were good. They run a good company. I think they are fine. They know their stuff.